Good Hires Canada: Legit or Scam? - Gateway to Canada | Canada Immigration Consultancy! Good Hires Canada: Legit or Scam? 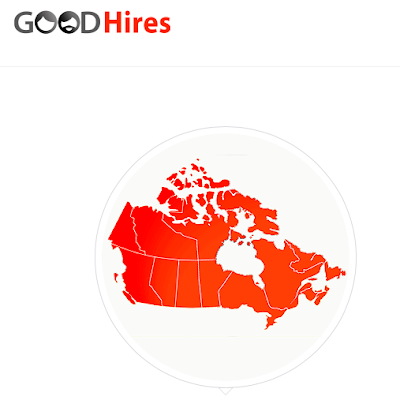 Is Good Hires Canada (http://goodhires.ca) legitimate business? Is it ok to register with Good Hires Canada? I've seen their Facebook advertisement several months ago but never really give it attention. But I recently received an email from one of Gateway to Canada readers so I gave it a look. Good Hires Canada is a job/resume posing website, it offers direct job-matching service - your resume is matched against all their recruiters from their data base. They will be hosting your resume. And for that, they will charge you USD 89.95. If there are other fees involved after paying the registration fee, I have no idea. So is it ok for you to pay for that service? That is for you to decide. If you see value in he services they offer, then go ahead. Remember, they offer job matching only. Up to you to to send application to employers and there is no guarantee that you will be hired. Don't be confused. You also need to consider that if create an express entry profile, you will be required to create a job profile at Canada Job Bank (jobbank.gc.ca), a Canadian Government website. It also offers job-matching service to connect you with the Canadian employers. It is FREE. There are many other FREE Canada Jobs Portal where you can post your resume/job profit and search job vacancies. In fact, you can search for job vacancies posted at Canada Job Bank using this Canada Job Search Tool. What you will receive from Good Hires Canada by paying the registration fee is job-matching. They do not guarantee that you will be hired. Is Good Hires Canada legit or scam? Ask those who already paid for their services. What is important here before you pay is that you understand the service you are paying for. Here's some feedback about Good Hires Canada. Now, if you are interested to how study, work and live in Canada the right way, talk to us. Information posted here at www.gatewaytocanada.com is not a legal advise. Information about Canadian Visa Application is available for free at http://cic.gc.ca. If you want to hire a representative for your Canada Visa Application, please be informed that only Registered Immigration Consultants and Lawyers who are member and with good standing with Canadian Law Society, can represent you for a fee.